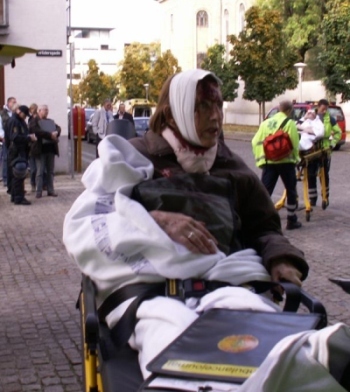 In the last week SIAD, SIOE and Anders Gravers has been attacked by a person from the organisation Pax Europa. 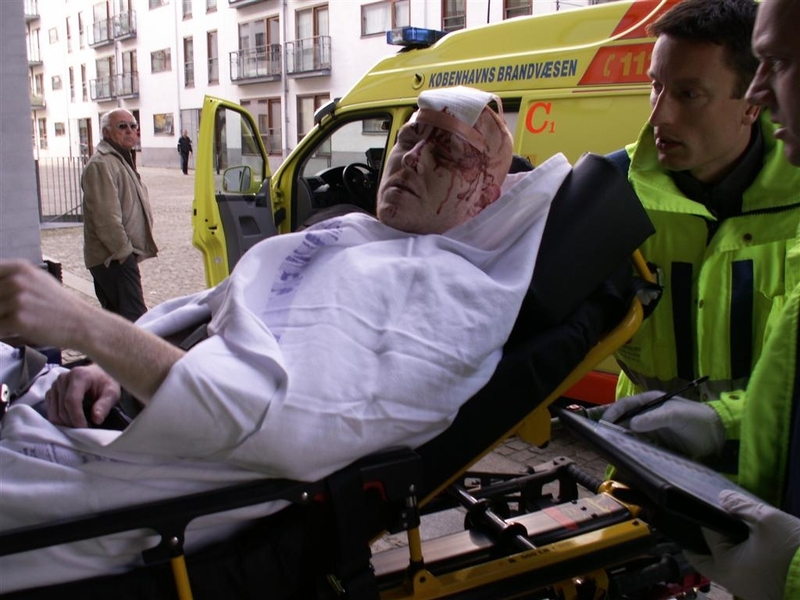 It is not first time that SIOE has been attacked by a person from Pax Europa. First time it was Udo Ulfkotte who on Belgian TV cancelled an international SIOE demonstration in Bruxelles without informing the SIOE leadership. The demonstration never became as big as planned because of Udo Ulfkotte’s treason. Now a big international demonstration is planned in Århus, Denmark organised by DDL (Danish Defence League) and just a little more than a week before the demonstration is taking place another Pax Europa guy is trying to destroy this international demonstration. His name is Norbert Gehrig. He has got information from a net-newspaper that allows bloggers to put up posts on their own blog on the newspaper. Norbert Gehrig has found an article from the far-left intelligence group called Redox that tries to connect us with different persons and tells lies about them. The blog post is from 2009 and they have tried to spread it all over to different newspapers blogs and fora. The group who has spread the lies is now under charge for murder attempt, fire attack on the Danish Police Intelligence’ data-central, threats, violence and hacking. Nice people mr. Norbert Gehrig trust and refer to. If there had been any meat on this story SIAD and Anders Gravers would have been slaughtered publicly by the Danish media who will grab any chance to destroy the group and its leader. But not one newspaper, radio or TV has brought the story because it is extreme leftwing propaganda. We will now bring some pictures that say it all. Anders Gravers after the nazis have attcked him. The nazis have joined AntiFa and the muslims and are now screaming: "dirty jew pig" and "we wanna see Anders with crutches". 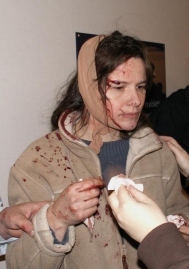 Young SIAD member demonized as a nazi and hit in her head of a filled soda bottle thrown by our time's nazies - AFA.